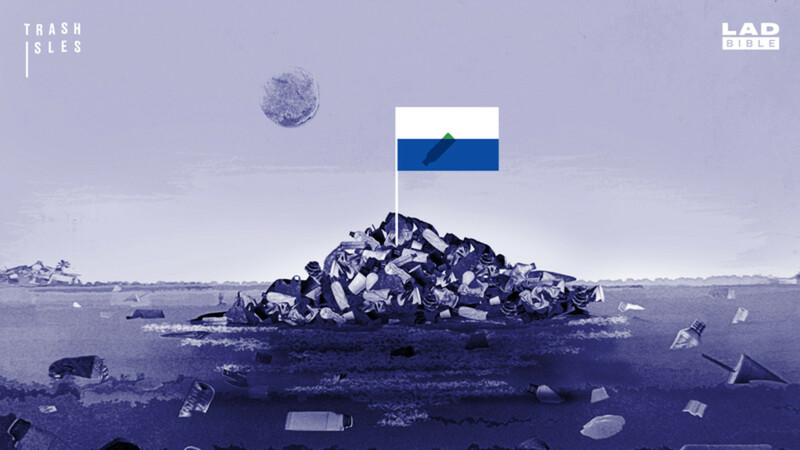 If the Giant Trash Pile in the Pacific Were a Country, Would Someone Finally Clean It Up? Activists want to turn the country-sized garbage patch in the Pacific Ocean into an official nation, and you can already apply for citizenship. 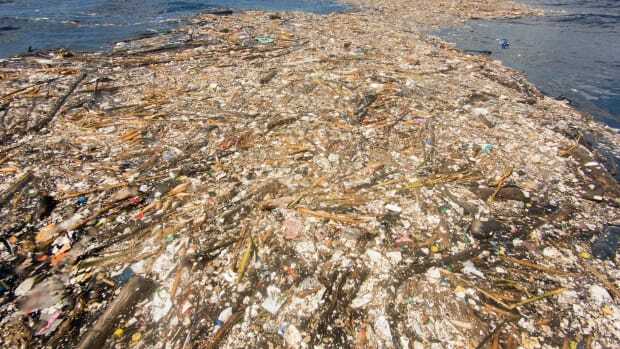 A blob of floating trash in the north Pacific Ocean has grown to rival the size of a not-so-small country. Now some activists are making the case the heap should be recognized as one. Plastic Oceans Foundation, an environmental charity, and LADbible, a news and entertainment group, have teamed up to petition the United Nations to recognize the Great Pacific Garbage Patch—a.k.a. Trash Isles—as an official nation, Quartz reports. Al Gore was designated the first official citizen of Trash Isles, and more than 110,000 people have signed a petition to sign up for citizenship (and put pressure on the U.N. to take the trash heap more seriously), and designer Mario Kerkstra created a passport, flag, stamps, and currency for Trash Isles. 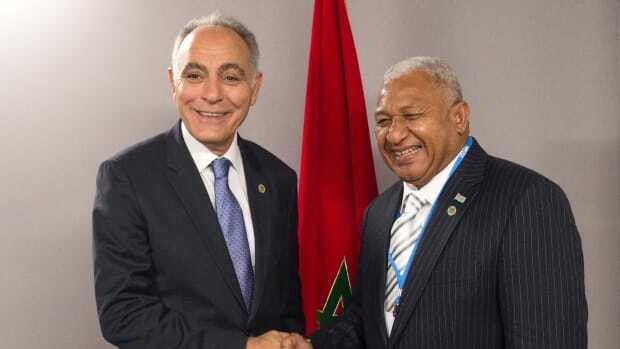 The organizers are hoping that, should their campaign succeed, other member nations of the U.N. would be inspired to help clean up the mess. 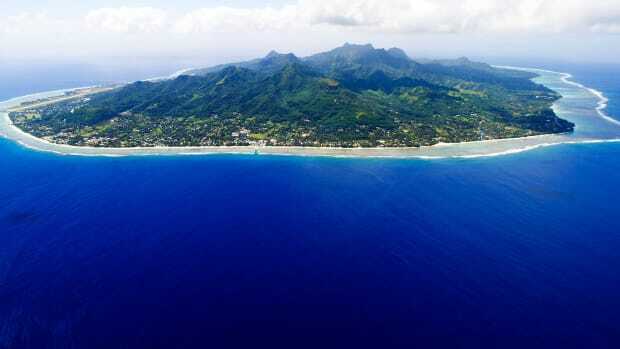 As a recognized country, Trash Isles would be protected under the U.N.&apos;s Environmental Charter, the activists say, which states: "All members shall co-operate in a spirit of global partnership to conserve, protect and restore the health and integrity of the earth&apos;s ecosystem." The campaign is also meant to raise awareness on an individual level about the growing problem of plastics in our oceans, and to encourage Trash Isles citizens to cut down on their own plastic use. The Trash Isles campaign is the latest in a long list of creative ideas meant to get people to care about their footprint on Earth. In the September/October 2015 issue of Pacific Standard, Brooke Jarvis documented the efforts of the photographer Chris Jordan, who "spent years trying to visually represent the baffling scale on which we produce and scrap the materials of consumer society." Jordan began with photographs of man-made junk at ports or scrap yards, according to Jarvis, "and later began creating digital composites to illustrate statistics too vast for the human brain to compute: a forest made from the cigarette butts thrown out every 15 seconds in the United States; a swirl of hundreds of thousands of cell phones, the discards of a single American day." 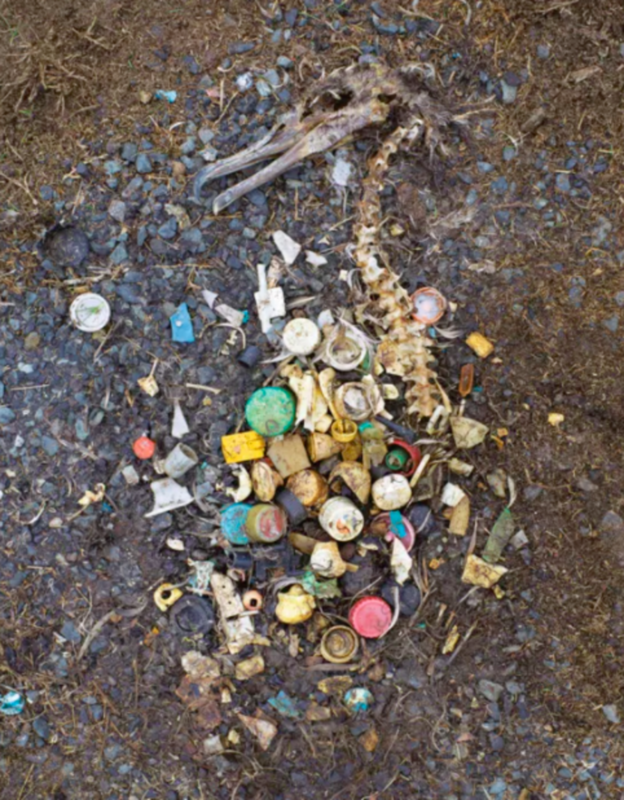 The remains of an albatross lie next to the pieces of plastic it had accidentally consumed. Each year tens of thousands, it&apos;s estimated, remain behind. They try to purge, dry-heaving desperately, but they can&apos;t get the plastic out and so cannot fly away; cannot search for food. Some die from stomach punctures. Others slowly starve, weak and weighted down, their bellies full but empty of anything to nourish them. Eventually they can barely lift their heads, but they still open and close their beaks, as though trying to retch. At last they lie still. Their bodies litter the ground. Some wash broken in the waves, their great wings trailing behind them. In time their flesh decomposes and their feathers blow away in the wind. In small, colorful piles where their stomachs once were, the plastic remains. 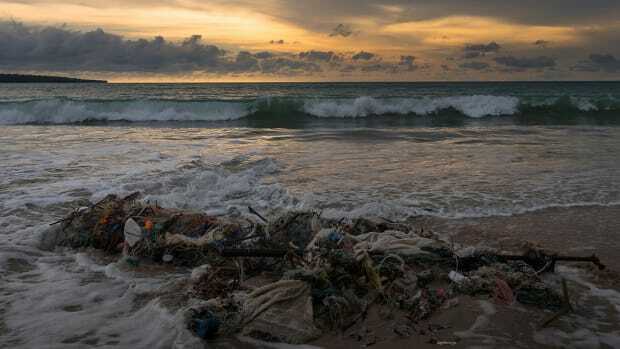 The images were devastating, yet the Great Pacific Garbage Patch has continued to grow. It&apos;s not as if humans don&apos;t care about environmental crises; rather, as Jarvis explained, often, we care too much. In her piece, Jarvis described a psychological theory that what might look like apathy toward the planet&apos;s seemingly insurmountable plight "may really be a defense mechanism, a way to avoid an intolerable reality by denying it." 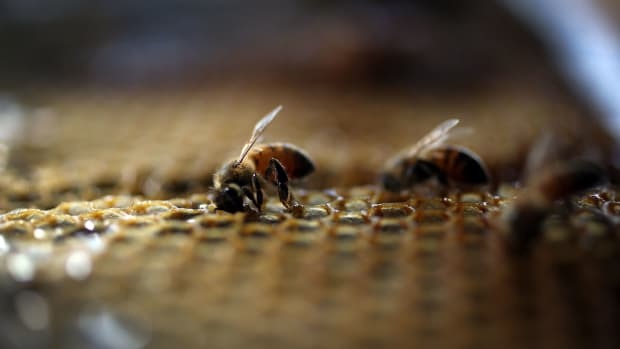 So while humanity definitely needs to confront the harsh realities of pollution and climate change in order to change our ways, we also need a reason to hope. There are plenty of reasons to be worried about the Great Pacific Garbage Patch: In the near future, there could be more plastic than fish in the world&apos;s oceans, and Laysan albatrosses are hardly the only animal busy chowing down on plastic. Maybe citizenship to a country made of garbage could finally give people not just a reason to clean up, but a sense of responsibility and a way to go about it.